Genuine alderwood provides the perfect substrate for just about any embellishment, including mosaics, tiles, and paint. 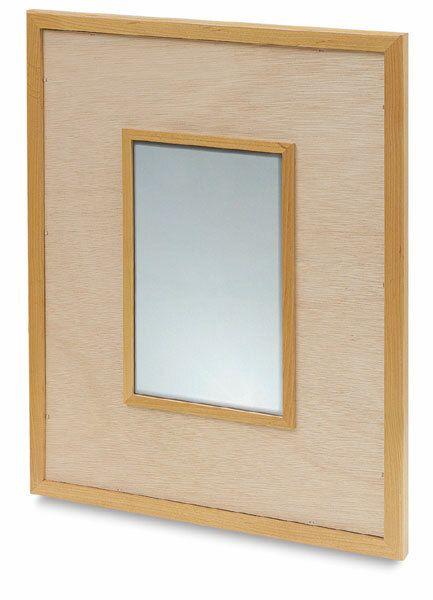 The 7¾" × 12" beveled mirror sits within a wooden frame that measures 23" × 19" overall. 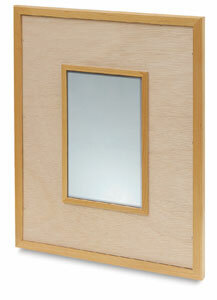 It can hang vertically or horizontally, in a bathroom or over a dresser.